CETEST has completed multiple dynamic performance tests according to EN 14363, EN 12299, UIC 518, US CFR49 all over the world. 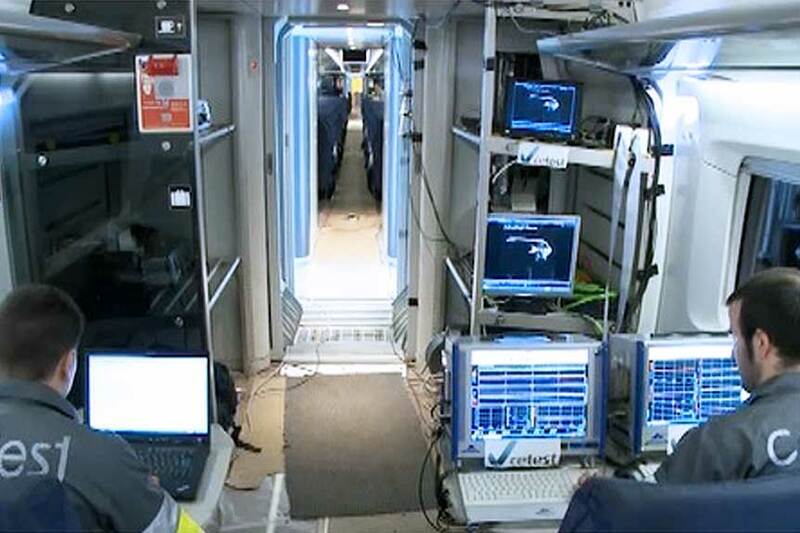 The aim of running behaviour tests is to assess the running characteristics of railway vehicles. The assessment involves the statistical processing of several ride dynamic related parameters, which are obtained from signals recorded during test runs. CETEST performs both simplified method and normal method as described on standard EN 14363, thanks to our proprietary solution of instrumented wheelsets. We have completed a lot of different test campaigns across the globe and on many different types of vehicles. Our team of experts is available to take advantage of their skills anywhere, anytime, achieving short lead times to meet our clients’ needs. The vehicle and track are analysed before carrying out the test run. This pre-study focuses on defining the most suitable approach considering the alternatives established by the standard in terms of track zones and statistical analysis methods given the target test conditions and operational restrictions. CETEST also has experience in managing complete test campaigns including organising the test runs, dealing with train operator as well as with infrastructure manager, etc. Our instrumentation includes accelerometers, displacement sensors, strain gauges, gyroscopes and other special sensing systems, e.g. instrumented wheelsets. We use them in conjunction with the latest control and acquisition equipment and post-processing tools.